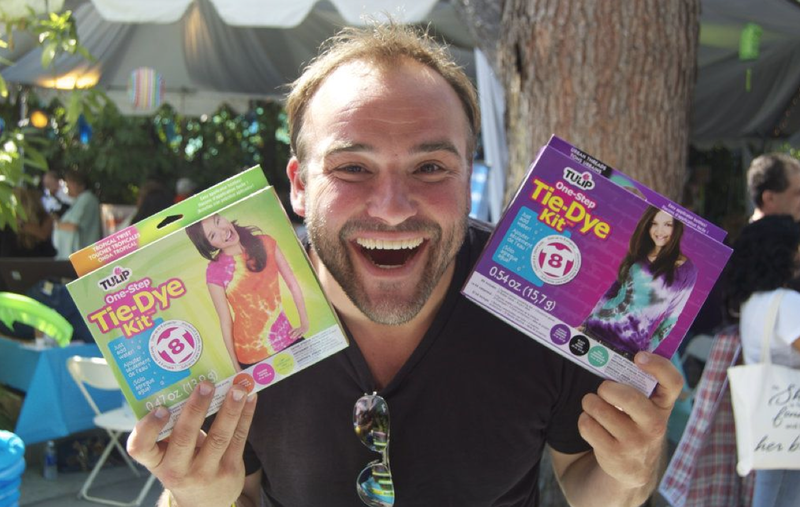 iLoveToCreate Blog: Forget dancing, we're tie dyeing with the stars!! Forget dancing, we're tie dyeing with the stars!! 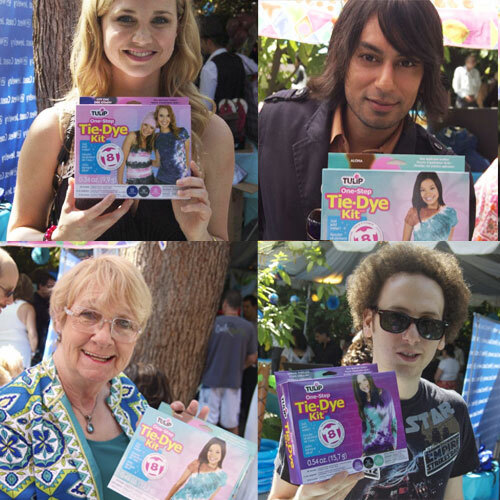 The stars came out to shine (and tie dye) on Saturday, September 17th, 2011 in honor of the 63rd Primetime Emmy Awards! We attended The Borgnine Group Emmy Gifting Suite at the legendary Sportsman Lodge hotel and tie dyed with the hottest stars of the small screen and film. Above as you can see, we got the opportunity to catch up with Fiona Gubelmann of the FX show Wilfred, Vik Sahay of Chuck, Josh Sussman of Glee, and Kathryn Joosten of the West Wing and Desperate Housewives fame! 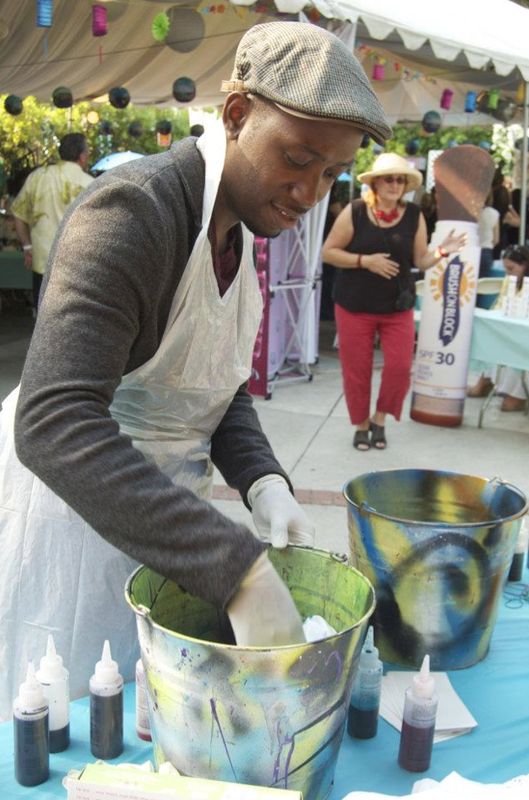 Lamorne Morris star of the new Fox show "The New Girl" tie dyed with us! He was so much fun and such a good sport! Allee Marderosian showed him how to do the "cleanup" where you use your shirt as a rag and clean up the bucket with the tie dye!!! 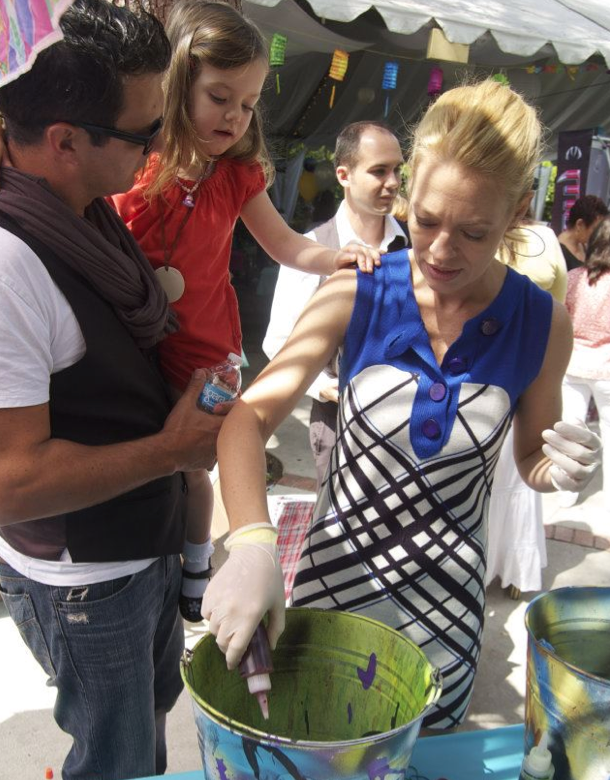 Jeri Ryan star of Body of Proof, Boston Public, and Star Trek: Voyager tie dyed a shirt for her daughter. As you can see, her daughter gave her lots of guidance on what colors to use and where to squeeze the dye! We came prepared! 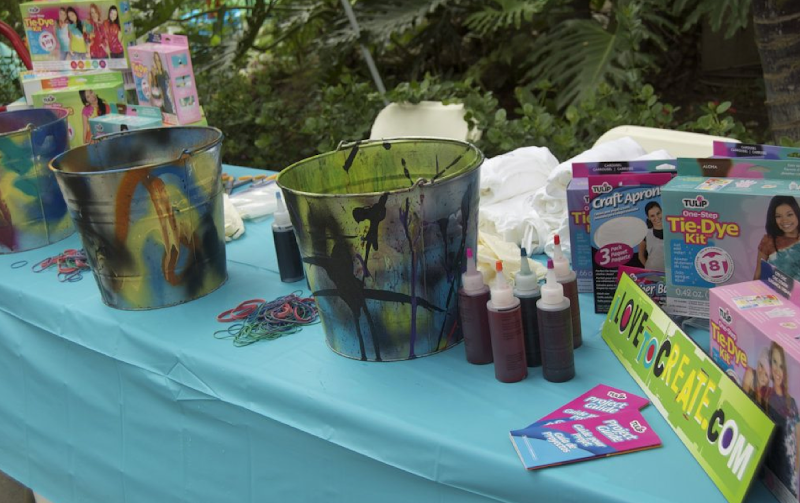 Check out our tie dye station. While not every celebrity tie dyed, a lot of the celebrity's kids did. The celebs were kind enough to stop and chat and take a picture! Some were even kind enough to ham it up for a picture, like David Deluise of The Wizards of Waverly Place! 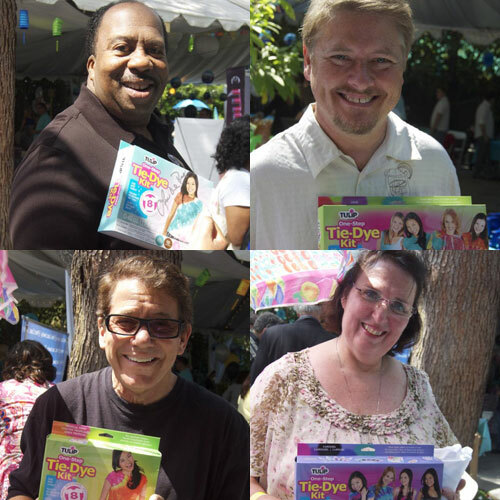 We met up with the Offices' Leslie David Baker, comedic great Dave Foley of The Kids in the Hall, Anson Williams, star of Happy Days and director for "The Secret Life of the American Teenager", and Office star Phyllis Smith! Also on hand was Bonnie Bedelia of Parenthood, Gail O'Grady of Hellcats, Kate Linder of the Young and the Restless, and Marilu Henner of Taxi fame! 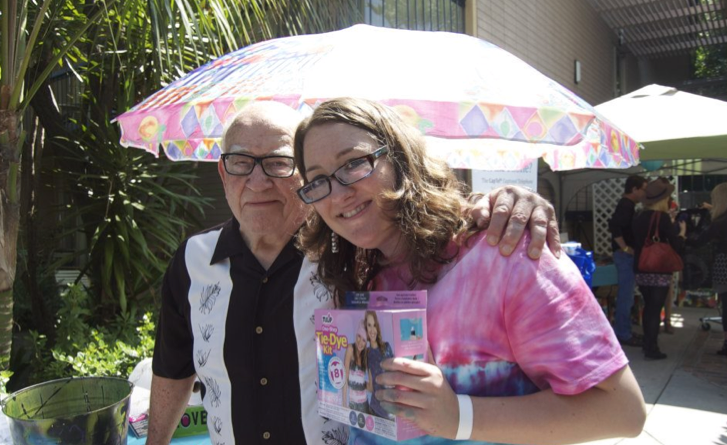 Alexa even had the opportunity to get a pic with Lou Grant himself...Ed Asner! What an honor to meet such a legendary actor! For more photos, pics, and celebs from the event, check out our "Forget dancing, we're tie dyeing with the stars" photo gallery on Facebook! Craft on! Click here for this week's giveaway!